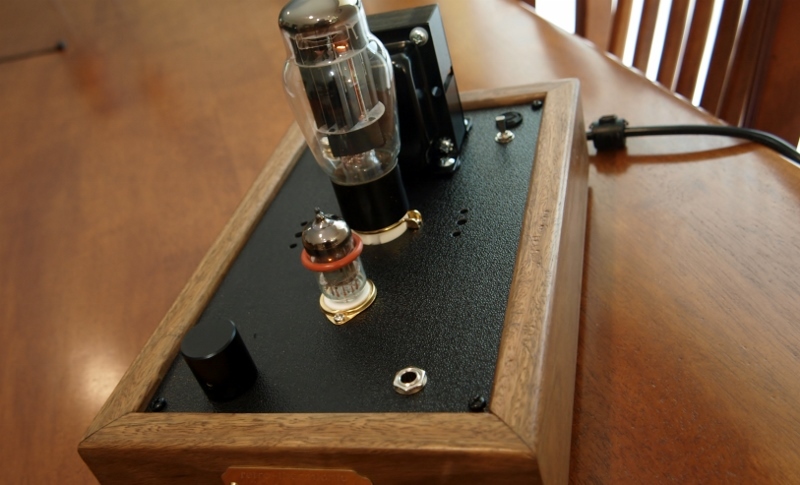 Yet another very compact tube headphone amp. This time SS rectification. 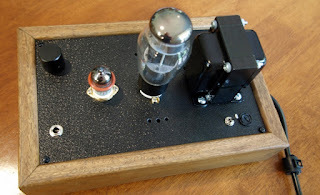 Hammond power tranni and 5H choke. Ceramic valve sockets and Alps Blue Velvet pot and solid brass black knob. NP (snubbed) output caps and all silver soldered. Tubes are RCA 6AS7 and Ozzie Miniwatt 12AU7. Great sound with good bass. Base is Australian Spotted Gum, top pate ABS.